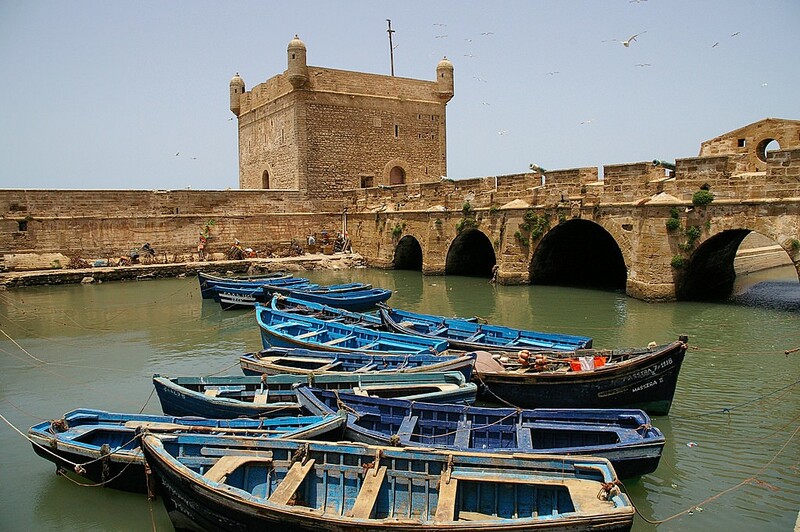 In the morning you will meet your driver in Casablanca to begin your journey to Essaouira, stopping along the coast to visit three formerly Portuguese-occupied coastal cities. Your first stop is Azemmour, an artists haven and traditional Moroccan city despite its closeness to the cosmopolitan Casablanca. 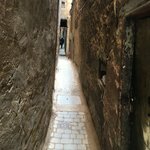 Explore the 16th-century medina (old quarter) wedged between the Oud Er-Rbia River and the Atlantic before exploring the kasbah (old fortification). From there, head further south to El Jadida. Here you will tour the hauntingly beautiful cistern of the El Jadida fortress and the Manueline Church of the Assumption—two important buildings from the Portuguese occupied period. Next, stop in the port city of Safi for a bite to eat, possibly from one of the many food vendors lining the Rue du Souq. If there's time, visit the Ksar el Bahr, a 16th-century fortress built by the Portuguese colonizers. 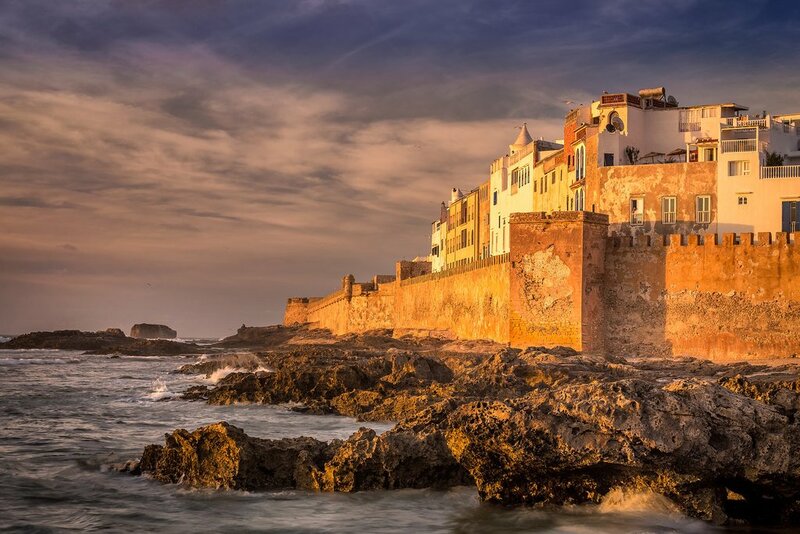 Continue on to your final destination, the laid-back port city, Essaouira. Settle into your accommodation and take the rest of the day for yourself, exploring the medina and your surroundings. Today will be yours to explore Essaouira as you like. Walk the Skala de la Kasbah (the 18th-century seafront ramparts) along the coast. Designed by European engineers, old brass canons line the walls and offer viewing access over the Atlantic. Explore the UNESCO-protected medina before making your way to the windswept beach. Jimi Hendrix fans may want to take a short taxi ride to Diabat at the end of Essaouira's beach where he reportedly spent some time. Walk back to Essaouira and enjoy a meal of freshly caught seafood. Known as the "Windy City" for its strong Alizée trade winds that hit its crescent beach, Essaouira is a popular kiteboarding destination. Take the morning to watch the windsurfers and kiteboarders or for the more adventurous, take a lesson. 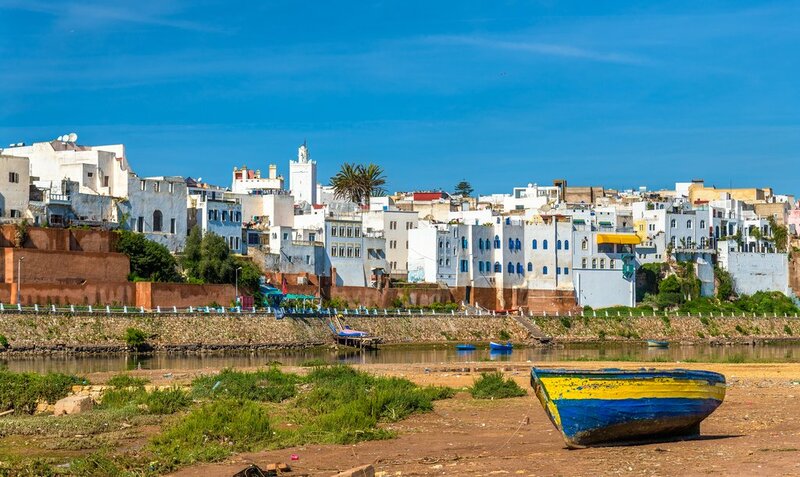 There's also the option to spend some time down by the very active fishing harbor or wander one of Morocco's best-preserved mellahs (Jewish quarter). After breakfast, you will travel inland to Marrakech. Settle into your hotel and spend the rest of the afternoon at a slower pace. 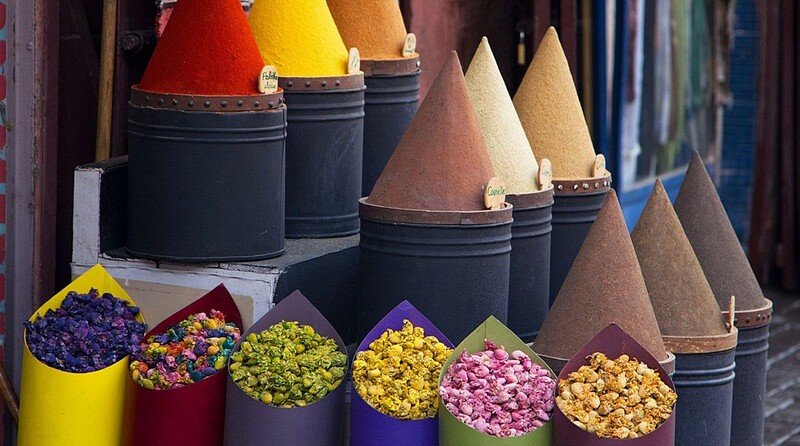 Orient yourself around Marrakech's main square, Jemaa el-Fna and visit the 12th-century Koutoubia Mosque to its west. At 253 feet (77 m) the minaret is hard to miss. Wander the attached gardens, dotted with fountains, pools, flowers, and palm trees, perfect for a late afternoon stroll when the late-day sun glows on the minaret. Return to Jemaa el-Fna—Africa's busiest square—and discover the lively activity: musicians, performers, snake charmers, and bustling stalls. Grab something to eat or choose a nearby café and enjoy the spectacle from a quiet distance. Nicknamed the "Red City" for its 1000-year old red sandstone city walls and buildings, Marrakech is a major economic center. Marrakech has Berber rather than Arab roots and was once an important trading capital for tribes of the Atlas mountains. 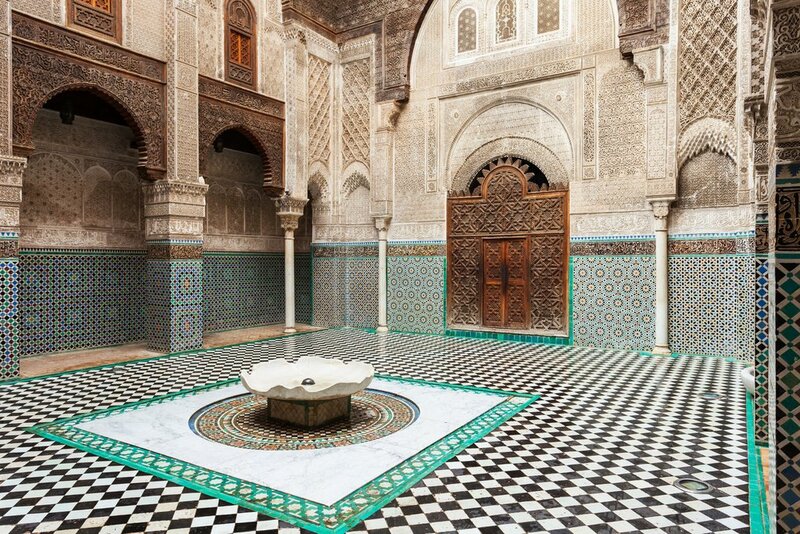 In the morning you will have a guided tour of Marrakech, including a tour of the 19th-century Bahia Palace. Meaning “brilliant”, its intricately carved and painted wooden ceilings are just that. Make sure to give your neck a break and check out the fountains and excellent floor tile work. In the afternoon you will enjoy a guided visit to a hammam (public bath) as well as spend time indulging your senses exploring the complicated labyrinth of Marrakech's souks (markets). Check out Souk el Attarin, Souk Chouari, and Souk Smata for a selection of spices, woodwork, and babouche (traditional Moroccan slippers). Visit Souk des Tenturier or the dyers’ souk to see how cloth and yarn are dyed using traditional methods. Marrakech is the second oldest imperial city in Morocco and is surrounded by palm groves and has beautiful views of the snow-capped Atlas Mountains in the far distance. In the morning, you may wish to explore the kasbah area south of Jemaa el-Fna. 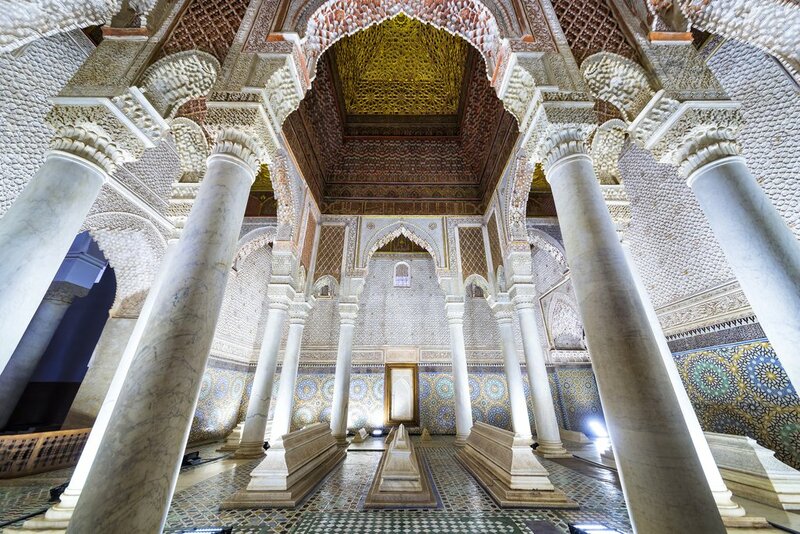 Once there, check out the Saadian Tombs and discover the 500-year old craftsmanship that went into its construction. 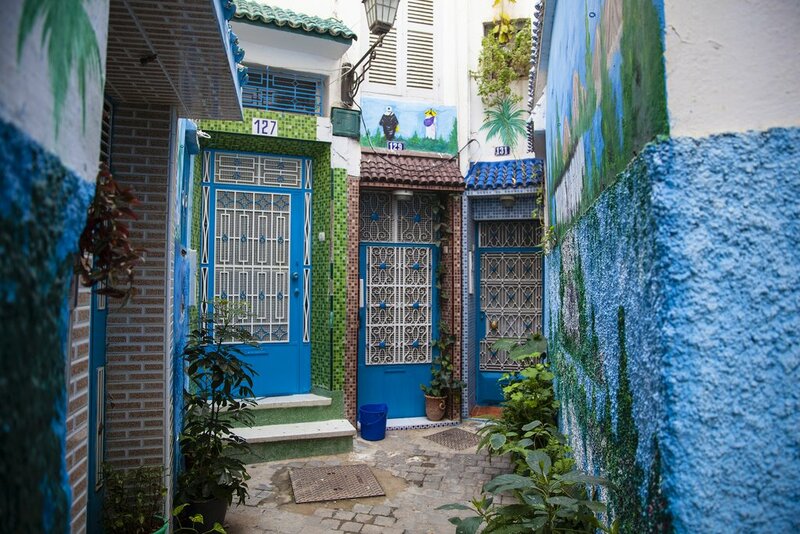 Spend a quiet afternoon in the north of the city in Ville Nouvelle with a visit to the Majorelle Garden. Not far from the bustle of the medina, wandering the gardens filled with sub-tropical plants, bamboo, lilies, and palms, is a perfect place to escape the heat and noise. On your last day in Marrakech, you will visit the Marrakech Museum to see exhibits of clothing, antiques, jewelry, and beautifully carved Hispano-Moorish decorations of carved cedar wood. Next, find the 12th-century Almoravid Koubba. The only surviving Almoravid monument built during the Almoravid Dynasty, the Koubba was rediscovered in 1948. From there, stop to cool off with a visit to Le Jardin Secret. 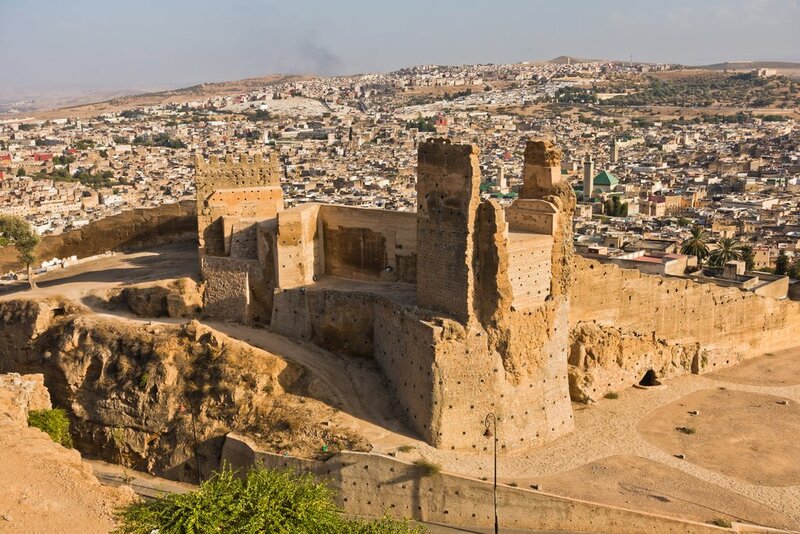 This morning you will leave bright and early to head north to the oldest imperial city, Fez. This eight-hour journey takes you through the scenic Middle Atlas and High Atlas mountains, through fragrant cedar forests and over high passes offering panoramic vistas. Along the way, you will have the opportunity to stop to explore any of the Berber villages you pass. Breaking up the journey with a stop in Beni-Mellal for lunch. After all the tranquillity of the mountains, soon you will be in the amid the clamor of vibrant Fez. 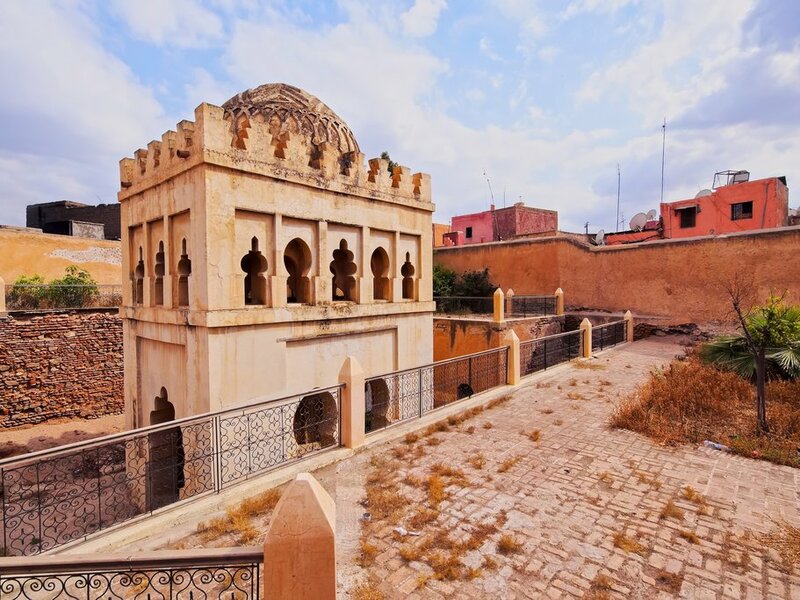 Before venturing into the medina, take the time to complete a short trek up a hill to the ruins of the Merenid Tombs for a panoramic view of the medieval city. The best time to visit the tombs is around dusk. The muezzin's calls to worship can be heard through the valley as the city lights begin to glow on, adding to the atmosphere. Descend the hill and return to your riad (a traditional Moroccan house with an interior garden) for a warm meal. Today you will join a five-hour cooking class followed by a tour of the complicated medina. Spend a leisurely morning enjoying breakfast and taking a stroll through the neighborhood before transferring to your class. 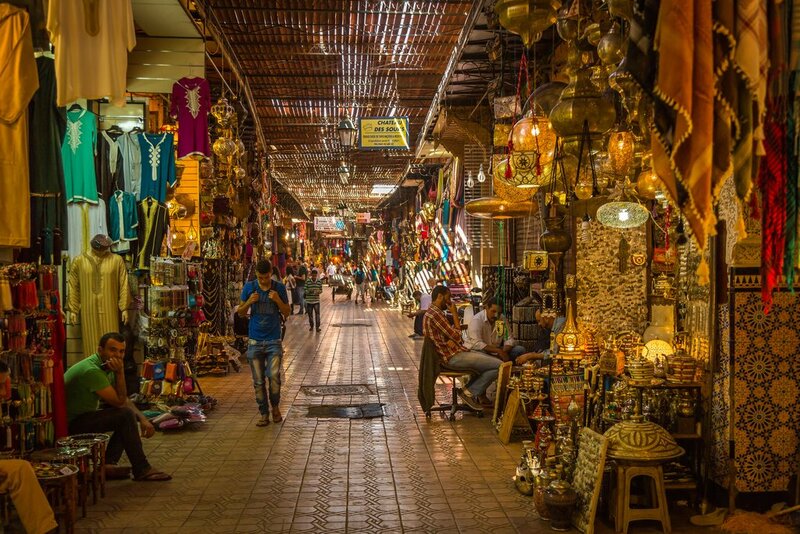 You will meet your instructor and go to a nearby souk to purchase all your ingredients just as the locals would do. You will then learn traditional Moroccan cooking methods using flavorful spices to prepare your four-course meal. Afterward, meet your guide and learn about the history and culture as you navigate the narrow and maze-like ancient streets of the medinas. Fes is made up of two old medina quarters, Fes el Bali and Fes el Jdid, and the modern Ville Nouvelle. 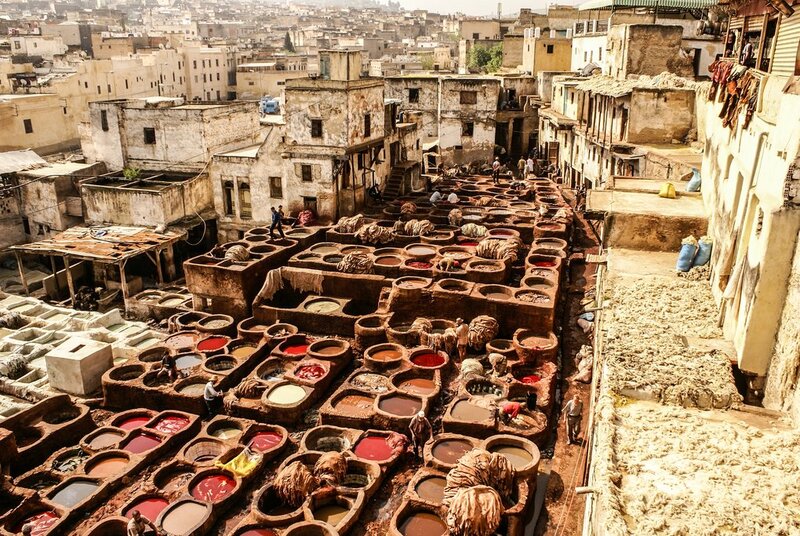 Visit the Chouara Tannery and find a nearby leather shop for an encompassing view of the many stone wells filled with dye and men at work. Next, admire the intricate zellij tilework of the 14th-century Al Attarine Madrasa. During the tour, you will also get to engage with artisans to learn about their work and stories in becoming masters. Today is a free day where you can explore the city on your own. Visit the Batha Museum. Housed in a 19th-century palace, the Batha Museum is home to a collection of traditional Moroccan arts and crafts, including carved wood, zellij tilework, and local pottery (its highlight). Spend time in the Andalusian-style gardens before walking to the mellah (old Jewish quarter and cemetery). Take advantage of its location for a stunning panoramic photo of the city. Continue south to Ville Nouvelle and discover the dramatic change in architecture. Tour a Ceramics and Tile Collective to learn how local artisans make wares, from shaping the clay to painting the designs. As well as watch the tile masters at work: fitting together small pieces of tile to form intricate mosaics. Return toward Fes el Bali, stopping along the way in Jnan Sbil (Bou Jeloud Gardens)—a halfway point between the mellah and Bab Bou Jeloud. Spend some time relaxing in the gardens' grandeur and cool off in the central fountains or beside the lake. Today you will make your way to Chefcahouen. On the way, stop in Meknes, another imperial city. A smaller version of Fez, Meknes offers a calmer medina and shopkeepers aren't as pushy to make a sale. Your driver will lead through Ville Impériale where you can explore gardens, palaces, the impressive gate of Bab al-Mansour, the Mausoleum of Moulay Ismail, and the Royal Stables. Next, stop for lunch in Morocco's oldest town, Moulay Idriss. 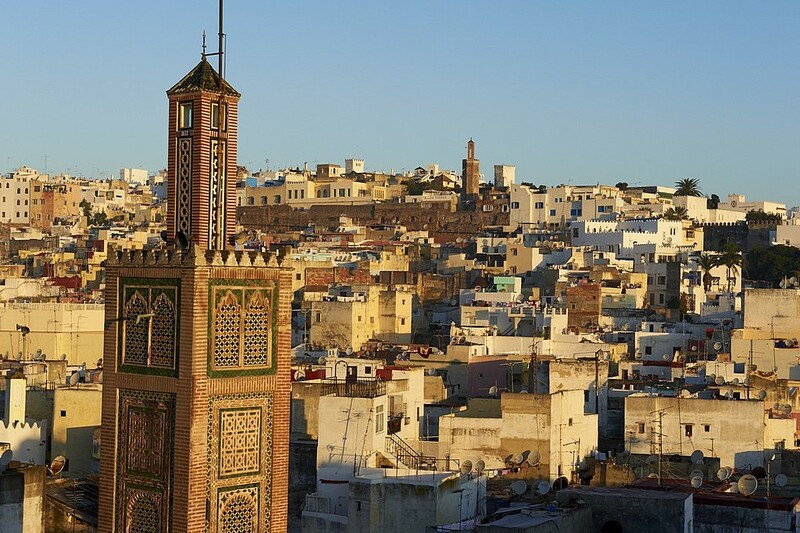 Founded in 789 CE by Moulay Idriss I, the town is home to Morocco's only round minaret. From there, visit Volubilis to see the Roman ruins. This UNESCO World Heritage site contains Morocco’s best-preserved Roman ruins and makes for a nice detour. Wander the massive complex, exploring large merchant homes with visible heating systems, temples, and many colorful mosaics, including the Labors of Hercules. You end your day in Chefchaouen. 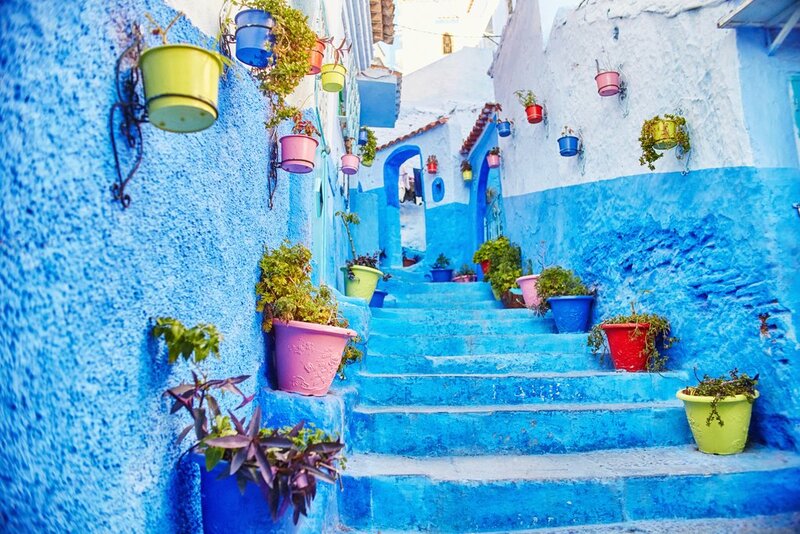 Mostly untouched since the 15th century, Chefchaouen offers a relaxed atmosphere with some of the friendliest people in the country and is known for its blue-washed buildings in its historic medina. Explore its narrow streets and alleyways which cling to the northern hillside of the Rif Mountains. Discover Plaza Outa el-Hammam, the main square named for the number of hammams which used to encircle it. 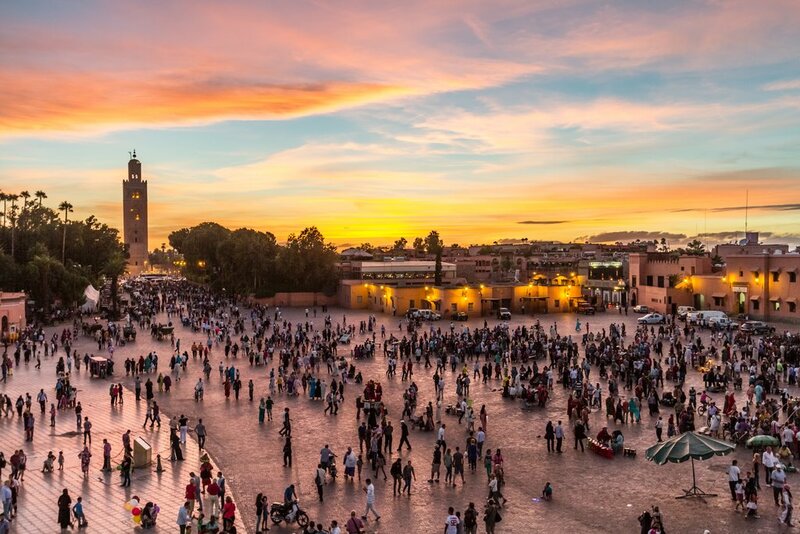 Find a restaurant or café for a bite to eat, before visiting the Grand Mosque and kasbah and tour the kasbah's garden, museum, and even some of its old prison cells. Rise early to wander the quiet streets for your best chance to snap unobstructed photos, before joining your driver and continuing north to Tangier. 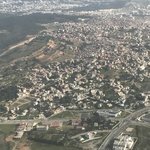 Stop to explore Tetouan, a jewel of a town in a striking location at the foot of the Rif Mountains, just a few miles from the Alboran Sea. The ancient medina, a UNESCO World Heritage site, looks like it has not changed in several centuries. You will be able to tour this town on your own with recommendations from your driver. Arrive in Tangier in the afternoon, settle into your accommodation, and take the rest of the day to explore your surroundings. Spend today as you like. 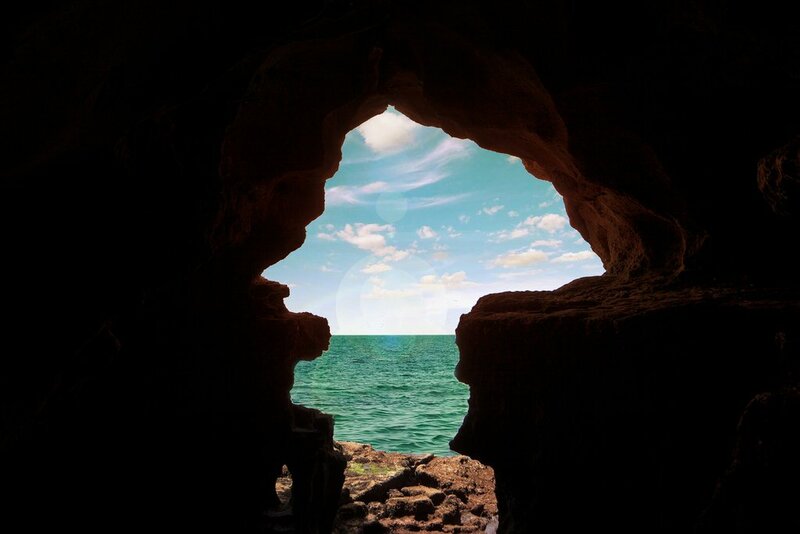 A great option is to make arrangements to drive the short distance to Cape Spartel to discover the Caves of Hercules. Explore the limestone caverns, thought to be where Hercules rested during his 12 labors, and peer out through the Africa-shaped opening to the Atlantic. Depending on your departure details, you may wish to complete any last minute souvenir shopping before saying goodbye to Morocco and boarding your ferry to Spain.